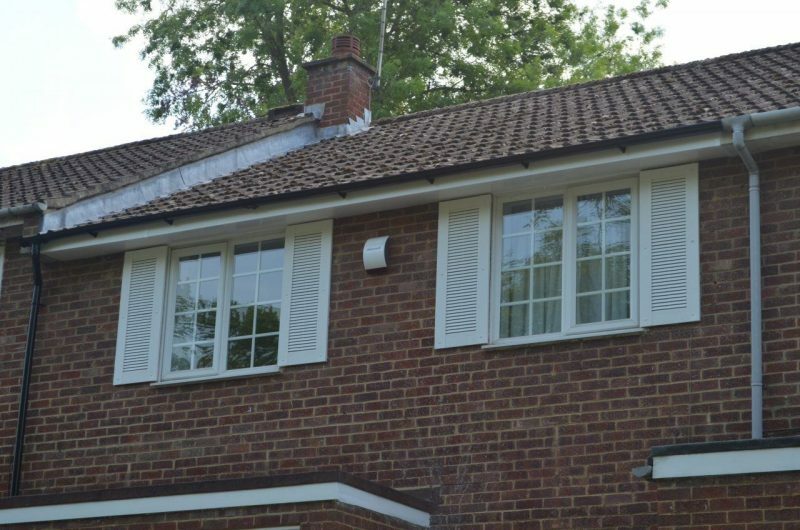 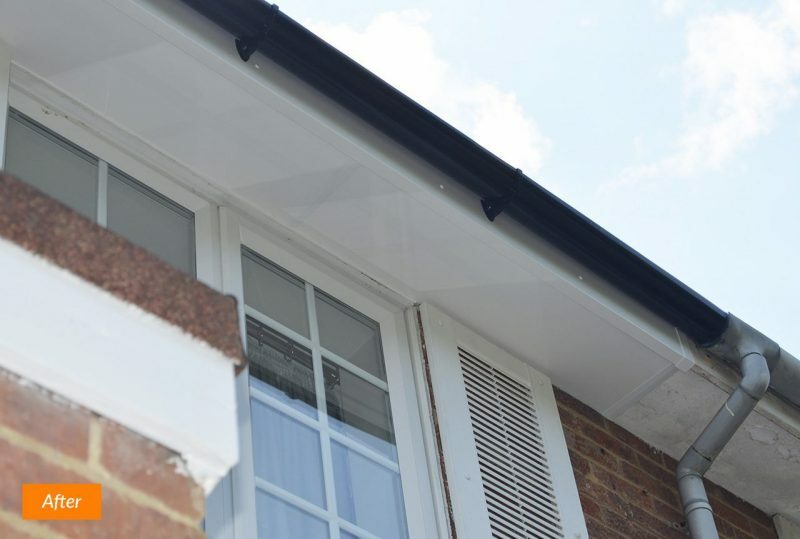 At a property in Woking recently, our clients called upon our expert installers to replace their soffits, fascias and guttering. 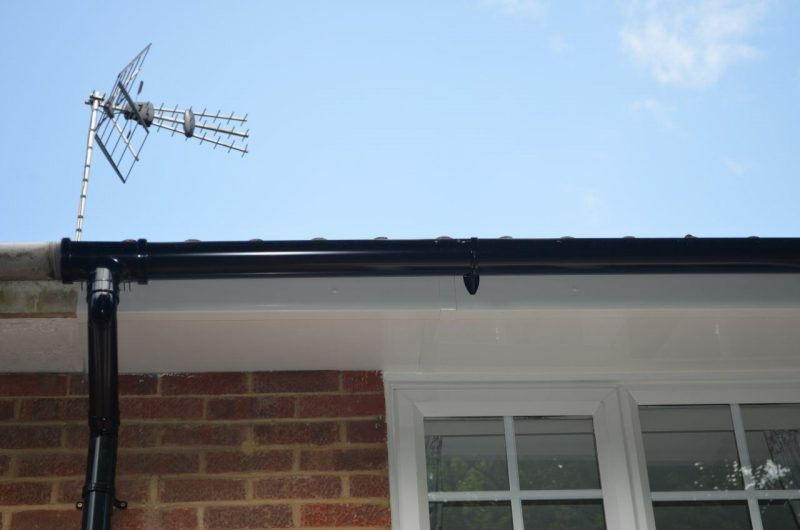 The team removed and replaced the existing rainwater goods, soffits and fascias from the upper level elevations at the front and rear of the property. They lifted the tiles over the eves and inserted a waterproof membrane which passes directly over the fascia and into the gutter in order to prevent the ingress of wind driven rain. 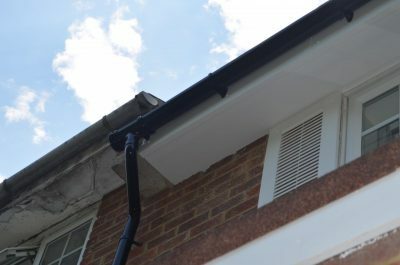 Prior to fitting the new vented fascia and soffit boards, the rafters were checked for any signs of rot. 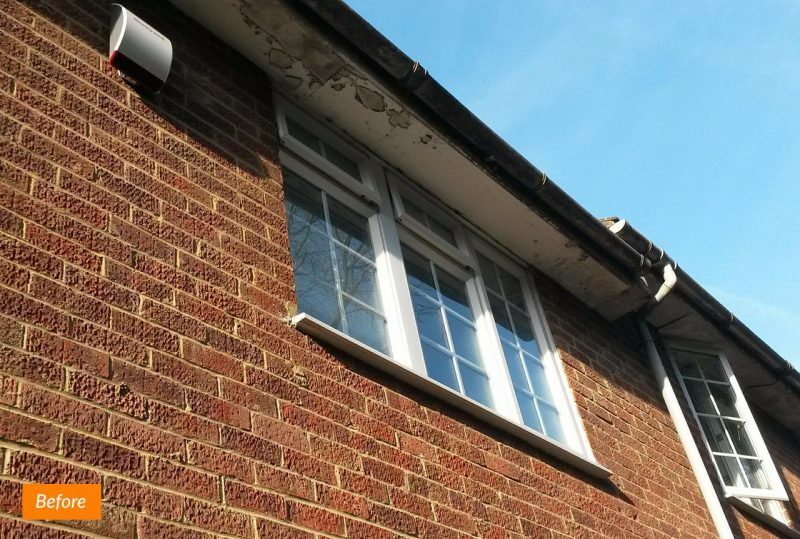 Should any be discovered, a preservative treatment would have been applied before securing the new boarding in place. 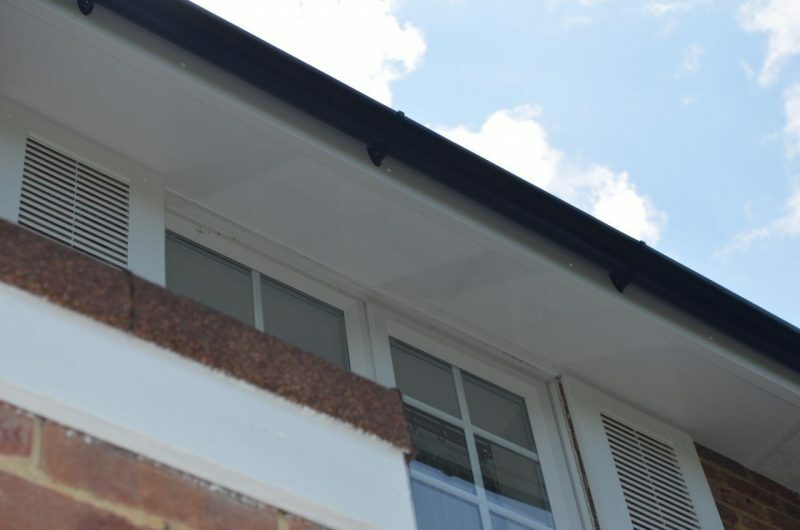 All soffit, fascia and cladding board installations supplied by Sheerwater Glass are covered by a ten year warranty!